Grave marker for William L. Cheney Section V Site 460 of the Fort Sam Houston National Cemetery, San Antonio (Bexar county), Texas. 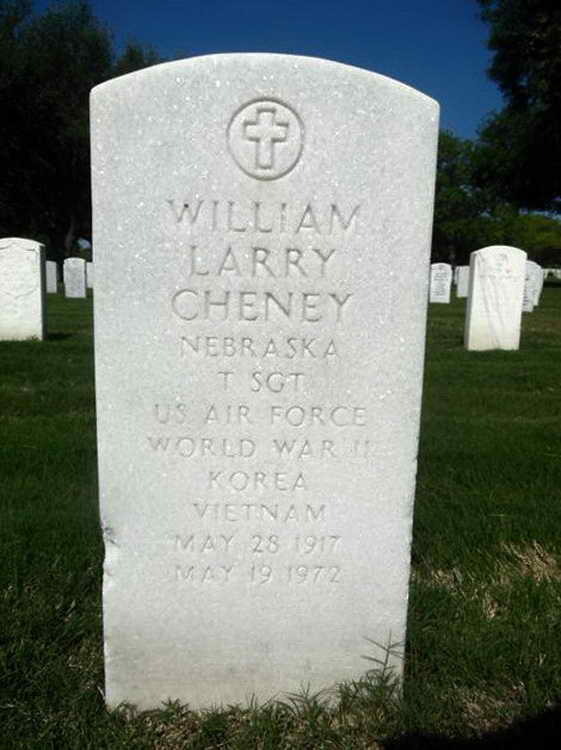 William enlisted in the Army at Ft Crook, NE on 10 October 1942 ad became a member of Company A, 508th PIR. Pvt Cheney was promoted to Pfc on 18 November 1942. He was discharged on 16 December 1945 and transitioned to the Air Force after it was fumed in September 1947 where he attained the rank of Technical Sergeant.